The Export Control Working Group during its recent meeting in Washington D.C. 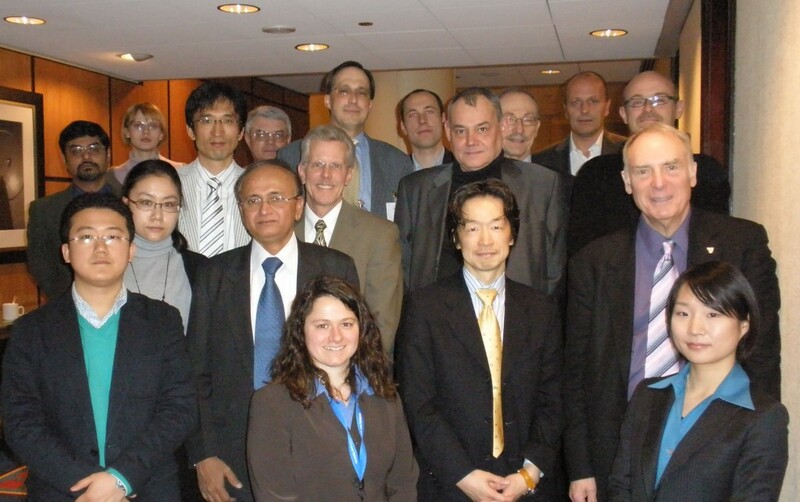 The third meeting of the ITER Council Working Group on Export Control, Peaceful Uses and Non-Proliferation (ECWG) took place in Washington, D.C. from 6-8 April 2009 under the chairmanship of Mike Roberts. Generously hosted by the United States (a big thank you to John Glowienka and his team) it was the first Council-level meeting to take place in the US since December 2003, adding extra significance to the location. The ECWG devoted this meeting to a final review of the Terms of Reference and the proposals for an ITER Council Policy on Export Control and an ITER Council Policy on Peaceful Uses and Non-Proliferation. All three documents will be brought to the next ITER Council meeting. The ECWG also discussed the ITER Organization strategies to implement these Council policies. Technical discussions on export control lists and data classification systems for the ITER Organization and the Domestic Agencies were also held during the meeting. The next meeting is planned from 7-9 October 2009 in Cadarache.